A dozen seniors ambled in to the Maple Room of the Holiday Inn in South Burlington, several of them supported by canes, walkers, scooters or spouses. A slide projected on a screen at the front of the room read, "Stop hurting and start living!" The attendees at the free seminar, held on a Friday afternoon in early September, likely learned about it from one of several full-page advertisements in Vermont newspapers. Similar events have been held in Bennington, Montpelier, Shelburne and St. Albans City in recent months. This particular seminar was advertised for patients suffering from chronic obstructive pulmonary disease, or COPD, an inflammatory lung condition that causes wheezing, coughing and difficulty breathing. Other ads targeted those with arthritis, diabetes, neuropathy, and chronic neck and back pain. 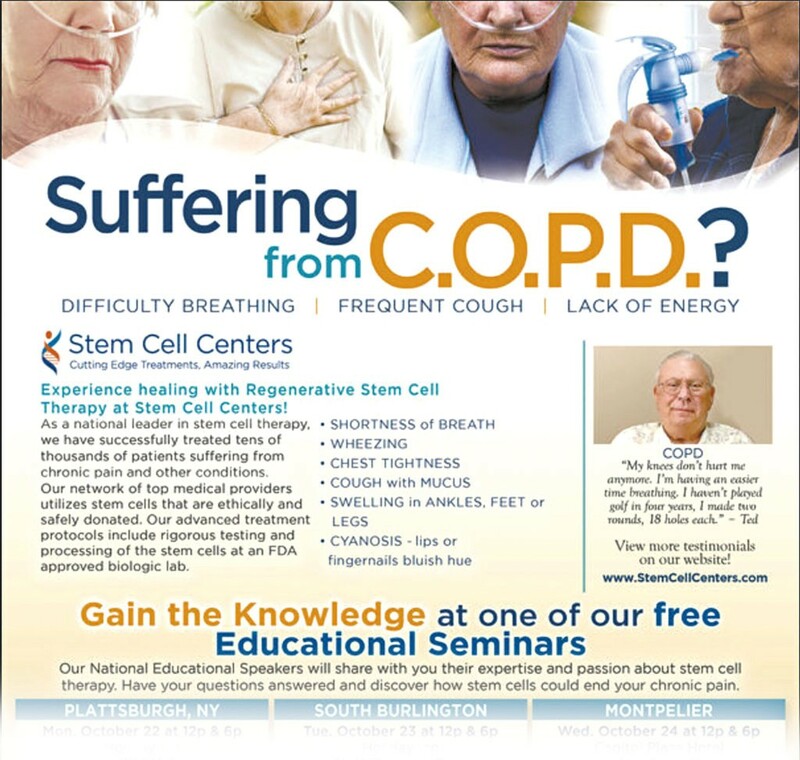 Though the ads differed slightly, all featured smiling seniors — holding hands, blowing soap bubbles, rising from wheelchairs — as well as glowing testimonials from anonymous patients and the tagline, "Experience healing with regenerative stem cell therapy at Stem Cell Centers!" At the bottom, in fine print, was a caveat: "Stem cell therapy is still considered experimental by the FDA," referring to the U.S. Food & Drug Administration. As attendees took their seats, Jason Wolther, a speaker from Stem Cell Centers' corporate headquarters in Post Falls, Idaho, began his presentation. He had traveled to Vermont to recruit patients for Stem Cell Centers of Williston, a new clinic that registered with the Vermont Secretary of State's Office in April. According to Wolther, Stem Cell Centers is one of the nation's oldest and largest chains of such clinics. Its website lists 16 locations in 10 states. Though this seminar was ostensibly for COPD patients, Wolther's 90-minute presentation covered a range of other ailments that, he suggested, could also benefit from stem cell treatments. These included arthritis, numbness in the arms and legs, spinal stenosis, osteoporosis, emphysema, and even Alzheimer's disease — all conditions that commonly afflict seniors. If attendees liked what they heard, Wolther could immediately schedule them for a consultation with the clinic's local practitioner, naturopathic physician Esti Bakty-Johnson. "Who's got back pain? Or maybe the better question is, who doesn't have back pain? How about joint problems, knees, hips and shoulders?" Wolther asked, as a flurry of hands went up. "Well, you guys are in the right place. Those are the things we've been treating, with high degrees of success." "This isn't covered by insurance, right?" asked a redheaded woman at the front of the room. Wolther confirmed that private insurance, Medicare and Medicaid won't pay for this therapy, which starts at about $4,500 for a single knee or hip treatment and can run as high as $15,000 for multiple treatments for conditions such as COPD and autoimmune diseases. "Now, the FDA, in all of their great wisdom, is still classifying stem cell therapy as quote-unquote 'experimental,'" Wolther said. "After decades and decades of doing stem cell therapy, in this country and worldwide, why do you think the FDA would still be classifying these treatments as quote-unquote 'experimental'?" "Money?" suggested one man in the room. Stem cell therapy, Wolther continued, "is a real game changer. But we're getting a lot of pushback. Do you think big pharmaceutical companies want to see this treatment become mainstream? No! Do big pharmaceutical companies want to see you getting healthy? No! It's being driven by profits instead of by results. And who suffers because of it? Everybody in this room." Several attendees nodded in agreement. The field of stem cell therapy, which involves repairing, engineering or replacing human tissues damaged by injury or disease, has shown enormous promise in the last decade. Researchers have made great strides in treating diseases such as leukemia and lymphoma using cells drawn from a patient's own blood, fat or bone marrow, as well as from amniotic fluid and umbilical cords. But within the medical marketplace, promises of treatments and cures for a plethora of other diseases and conditions have gotten ahead of the science, with advertisements offering consumers stem cell therapies to treat everything from erectile dysfunction to hair loss. Until recently, much of the for-profit stem-cell industry was the Wild West, where consumers were left to figure out what was real and what wasn't — at times with disastrous consequences. Direct-to-patient marketing events such as the recent Stem Cell Centers seminar — which sounded, at times, more like a sales pitch for a Caribbean time-share than a health care discussion — are recent phenomena in Vermont. Elsewhere, however, stem cell therapy is huge, with the number of clinics multiplying nationwide from just two in 2009 to more than 570 in 2016, according to a 2016 study published in the peer-reviewed journal Cell Stem Cell. 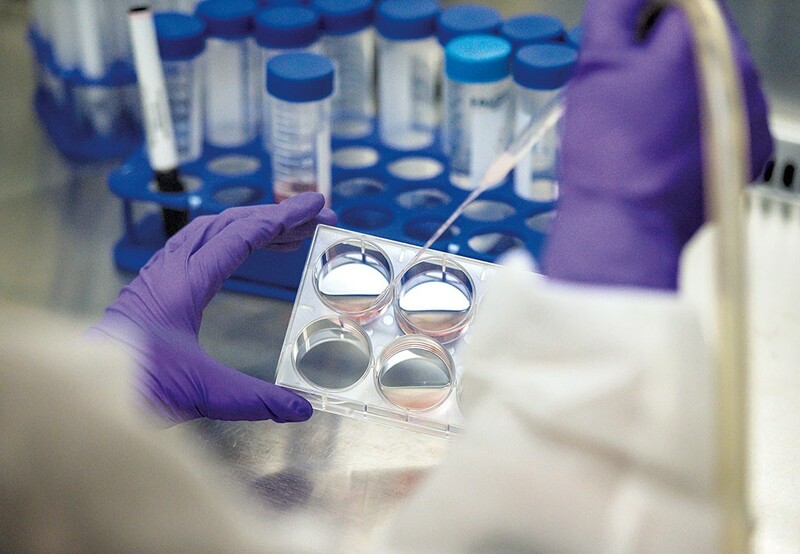 Last year, the market research firm Mordor Intelligence valued the North American stem cell industry at $5.6 billion and predicted it will grow by nearly 16 percent by 2021. Many clinics have opened in states with large populations of retirees, including California, Florida, Arizona and Texas. Their arrival in Vermont is understandable, given that one in five Vermonters is over the age of 60. For older Americans, especially those who've exhausted all other treatment options or simply want to avoid surgery, stem cell therapy offers a glimmer of hope. "As we get older, we have more chronic conditions and more medical conditions," explained Dr. Michael LaMantia, head of geriatric medicine at the University of Vermont Medical Center. "Unfortunately, we still have many more advances to make in medical care for older adults, and sometimes patients can feel like the medical system isn't providing them with all the answers they're looking for." Stem Cell Centers didn't respond to emails or phone calls requesting an interview with its local provider or with any of its Vermont patients. Vermont has a second stem cell clinic, Vermont Regenerative Medicine in Winooski. It, too, markets its patented Regenexx stem cell orthopedic procedures directly to patients through free informational seminars. Because the FDA doesn't allow some Regenexx procedures to be performed in the U.S., Vermont Regenerative Medicine encourages patients to travel to the Cayman Islands to have them done. The Vermont Medical Society, AARP Vermont and the UVM Center on Aging were either unaware of, or wouldn't comment on, these local stem cell clinics. LaMantia, who only learned about them shortly before being interviewed, also declined to comment on them. He recommended that potential patients consult with a health care provider they trust before seeking any treatment. Based on information he's read from the FDA, LaMantia said, "The evidence for many stem cell therapies is just not there yet." Researchers have known for years that stem cells play a critical role in repairing and maintaining tissues and organs throughout the body, which is why they're sometimes touted as "cure-all" or "miracle" cells. Bone marrow contains two types: hematopoietic cells, which can generate blood cells, and stromal cells, which can produce bone, cartilage and fat. Adult stem cells are different from the embryonic stem cells found early in the development of a fetus. Concerns that aborted fetuses might be used to harvest stem cells led to the 2001 federal ban on embryonic stem cell research. According to a 2017 patient guide from the Journal of the American Medical Association, the number of clinically proven stem cell treatments remains limited. Notably, hematopoietic stem cells are routinely used for bone marrow transplants in patients with cancer and other blood or immune disorders. Until last year, the FDA and the Federal Trade Commission largely avoided policing adult stem cell clinics. Because stem cells can be extracted from and reinjected into a patient's own body, the FDA doesn't consider them a drug. Federal rules stipulate that the cells must be human, "minimally manipulated" and used for "homologous use," or as they normally function in nature. 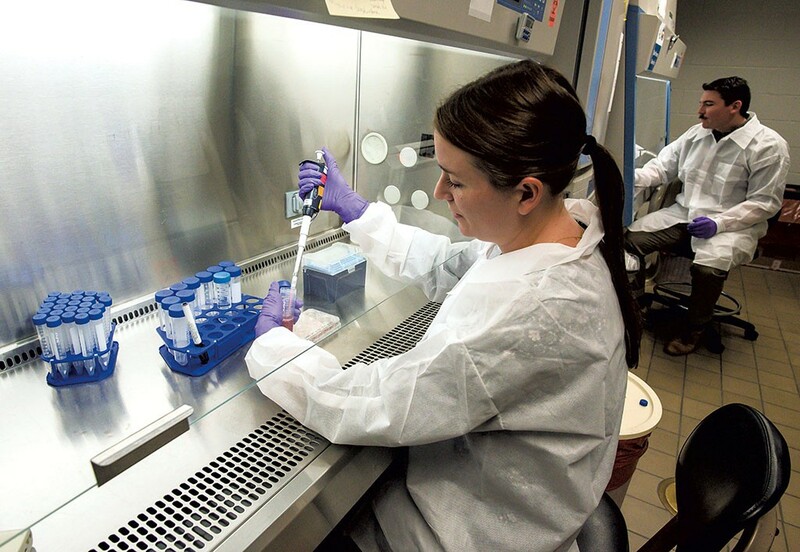 Medical organizations such as the American Academy of Orthopaedic Surgeons, as well as research organizations including the International Society for Cell & Gene Therapy, have grown increasingly concerned about the proliferation of stem cell clinics that offer unproven, expensive and potentially dangerous treatments. In 2017, the American Thoracic Society's American Journal of Respiratory and Critical Care Medicine called these clinics "an emerging public health problem" and warned consumers, "As of now, there are no proven stem cell treatments for any lung disease." No cases of adverse medical outcomes from stem cell treatments have been reported in Vermont, according to the state Department of Health. In fact, the Vermont Board of Medical Practice declined to comment for this story, as did Vermont Health Commissioner Dr. Mark Levine. Health department spokesperson Sharon Muellers noted, "This is not currently a public health priority." But as Americans read news stories about professional athletes — including golfer Tiger Woods, basketball superstar Kobe Bryant and tennis legend Rafael Nadal — who've experienced seemingly miraculous recoveries from injuries after receiving stem cell treatments, they have flocked to clinics in the U.S. and abroad. Such treatments aren't without risk. As the Washington Post reported in an April 29 story, "Miracle Cure or Modern Quackery," a 69-year-old woman died in 2010 after a Florida doctor injected bone-marrow-derived stem cells into the arteries in her brain. The New York Times reported in 2016 that a man spent $300,000 on overseas "stem cell tourism," which left him with a huge tumor on his spine. And, in a widely publicized case two years ago, a Georgia woman became blind after she had stem cells injected into both eyes to treat her macular degeneration. Some local physicians and researchers who are trying to develop innovative therapies are troubled by the arrival of stem cell clinics in Vermont. In addition to the potential for physical and financial harm to patients, they also fear that negative publicity about stem cell therapies threatens to cast them all in an unflattering light. In a third-floor laboratory of UVM's Given Medical Building, Dr. Daniel Weiss is growing lungs — three disembodied mouse lungs, to be exact. Each one "breathes" ambient air with the help of a ventilator inside a Plexiglas growth chamber. In an adjacent room is a pearly white chunk of human lung that's been "de-cellularized," or stripped of all its donor's cells, which could cause an immune reaction in a transplant recipient. The concept, Weiss explained, is to use the patient's own stem cells to regrow new lung tissue, or even grow an entirely new lung using a 3D bioprinter. He called the technology, which is still in the early stages of development, "the ultimate in personalized medicine." "If I remember correctly, this is from a lifelong nonsmoker, so it's a beautiful, pristine-looking lung," Weiss explained. "We get [donated] lungs from patients with emphysema, and they look nasty even when you take all the cells out." As a pulmonary critical care physician at UVM Medical Center, Weiss spends about a third of his time seeing patients in the intensive care unit. The rest he spends overseeing what is considered one of the top three or four labs in the world doing research on pulmonary regenerative medicine. That's a broad term for therapies that repair tissues and organs that don't naturally heal themselves. 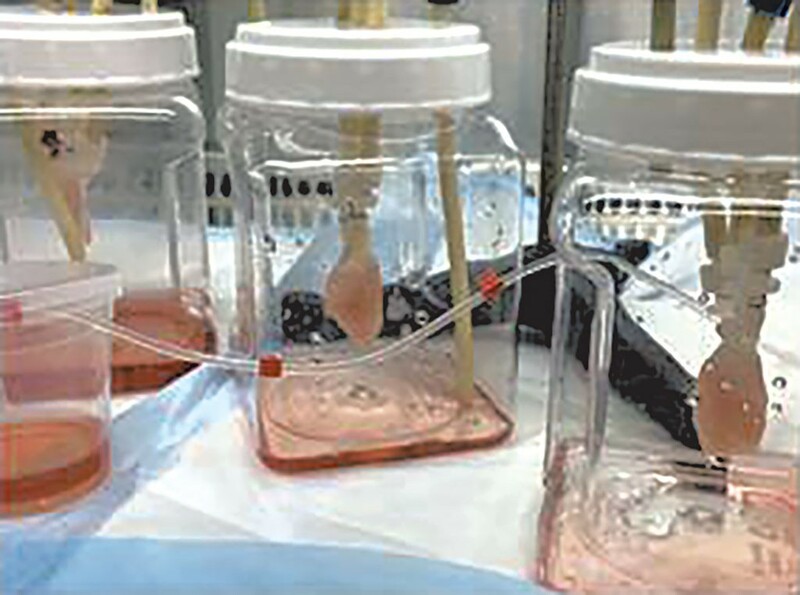 Weiss and his research team are trying to regrow complete lungs, or sections of lungs, that they hope will one day be used to repair or replace lungs damaged by disease. Central to that effort are stem cells. "We're pretty far along," Weiss said. "Are we at the point where we can actually do it? Not yet." Indeed, regenerating lungs has proven to be exceedingly difficult, he said. While more progress has been made in growing simpler human tissue, such as skin, muscle, bone and cartilage, "The lung is a tougher nut to crack." Why? As Weiss explained, a normal human lung consists of about 40 different cell types. The challenge is to figure out how to assemble them, and in what order, using various nutrients and oxygen concentrations. Longer term, the researchers hope to regrow and repair lung tissue within the body itself. In fact, if this and other stem cell research projects underway at UVM prove successful, Weiss envisions Burlington becoming a center for regenerative medicine, expanding the state's biotech economy. On a tour of the lab, the physician lamented what he called "the dark side to regenerative medicine," or the marketing of unproven therapies and "stem cell medical tourism" around the globe. Weiss couldn't comment on either of the stem cell clinics operating in Vermont, saying he doesn't know enough about the specific treatments and procedures they offer to assess their effectiveness. As chief scientific officer for the International Society for Cell & Gene Therapy, however, Weiss serves on a task force on the use of unproven or unethical cell and gene therapies. Later this month he's expected to testify as an expert witness in a lawsuit against an out-of-state stem cell clinic; Weiss declined to identify which one, except to say that it's not affiliated with those in Vermont. In mid-October, the International Society for Cell & Gene Therapy hailed an Federal Trade Commission crackdown on two California-based companies that were making deceptive and unfounded medical claims. Specifically, the companies claimed that their "amniotic stem cell therapy" could cure serious diseases such as Parkinson's, macular degeneration, cerebral palsy and autism. The FTC's action came on the heels of last year's announcement by FDA Commissioner Scott Gottlieb that his agency would be stepping up its oversight of the industry's worst offenders, beginning with warning letters sent to clinics whose off-label treatments had harmed patients. While Weiss hailed that measure, he said that even more enforcement and oversight are needed. One problem, Weiss noted, is that less reputable stem cell clinics have begun recruiting patients through ClinicalTrials.gov. The website, operated by the National Institutes of Health, ostensibly recruits patients for legitimate research studies on diseases and conditions. But last year, the American Academy of Orthopaedic Surgeons warned that the site has been "hijacked" by some stem cell centers advertising studies that have not received institutional review board approval, have never published their results in peer-reviewed journals and conduct "patient-sponsored" research — coded language indicating that the "studies" require patients to pay in cash to participate. "Unfortunately," Weiss said, "regenerative medicine has taken on a significant aspect of snake oil." "There's a lot of fraud out there, which is kind of scary," agreed Dr. Jonathan Fenton, a doctor of osteopathy at Vermont Regenerative Medicine in Winooski. He and his partner, Dr. Evan Musman, provide what they call advanced stem cell and platelet-rich plasma procedures to patients with joint injuries and degenerative disorders. Fenton, who's been practicing in Vermont for about 25 years, first got involved with Regenexx in 2014. Like Stem Cell Centers of Williston, Regenexx is a national organization that markets directly to consumers through newspaper ads and free informational seminars, including several that were held in Shelburne in the spring. As Fenton explained, most of the patients who come to him are trying to avoid knee, hip or shoulder replacement surgeries. He also treats "a lot of ACL tears" and claimed that, if any fibers remain in the ligament, "we can regenerate them." On the day he spoke to Seven Days, Fenton said he'd treated cases of ankle and knee arthritis, tendon tears, rotator tears, and plantar fasciitis, "orthopedic conditions that are usually treated [in hospitals] with either bracing or hope." Every three months, Fenton flies to the Cayman Islands, where Regenexx can "culture expand" patients' stem cells by extracting them from the pelvis, growing them in a petri dish, then injecting the higher concentration of cells back into their bodies. According to Regenexx literature, this procedure yields "100 to 1,000 times more stem cells" than those done in the U.S.
"It works better," Fenton argued, "but it's not allowed here." Here's why. In 2010, the U.S. Department of Justice sued Regenexx Sciences of Colorado, alleging that, among other things, the procedure violated federal laws and the company hadn't performed adequate studies on its safety or effectiveness. In 2012, a federal judge issued a permanent injunction preventing the procedure from being done in the United States. So Regenexx set up shop in the Cayman Islands, where, according to its glossy pamphlets featuring golfers, runners and volleyball players, patients can get their treatments on day one, then begin their "pain-free future" on one of the world's top-ranked beaches. Some patients rave about their results. In March, at a free informational seminar that Vermont Regenerative Medicine put on in Shelburne, a woman in the audience recounted her experience with a Regenexx procedure to treat a rotator cuff injury. "I don't like needles, and the first time, I thought I was going to die," she told a crowd of about 40 people. "But once I realized the benefit, I was blown away ... Honest to God, I would do it again in a heartbeat." "You're a plant, aren't you?" joked Musman, Fenton's partner at Vermont Regenerative Medicine. But others in the audience seemed skeptical, including one man who asked why the FDA won't allow the Regenexx procedure to be done in this country. "If you feel that the data is so strong," he asked, "why is [your stem cell therapy procedure] not the standard of care?" "The surgical lobby ... and medical device makers are a strong lobby, and they have a lot of money," Musman said. "A lot of it is the big medical-industrial complex that is slow to change, because the data is incontrovertible." When Fenton was asked whether any controversy surrounds his work, he too suggested that clinics such as his face resistance from the medical establishment because they undermine the financial stability of surgical and orthopedic units. "It's controversial because it's a threat to the current paradigm. But the safety studies are amazing," Fenton insisted. "The complication rate is practically zero." Seven Days couldn't independently confirm that claim. Vermont Regenerative Medicine didn't respond to follow-up requests by Seven Days to provide the names of other Vermont patients who might speak about their experiences with Regenexx procedures. Fenton isn't just a Regenexx practitioner; he's also a client. After breaking his hip in a skiing accident several years ago, Fenton had a Regenexx procedure performed on himself; he claimed it allowed him to avoid surgery. After three years, he had the procedure repeated on the same hip, which he predicted would provide him relief for another five years. "I want to move things forward, which is really difficult in this town," Fenton said. "The paradigm is very hard to shift, unfortunately. It's very sad." How does a patient with little or no scientific training assess the claims of stem cell providers? At the Holiday Inn seminar, the Stem Cell Centers' Wolther told potential patients that injecting stem cells into their bodies could "regrow cartilage and ligaments and tendons and meniscus" and "repair and regenerate disc material in our spines." Has stem cell therapy advanced to the point where it can regenerate the discs in a person's spine? "No, there's certainly no evidence of that," said Dr. George Muschler, an orthopedic surgeon and stem cell researcher at the Cleveland Clinic Lerner Research Institute in Ohio. 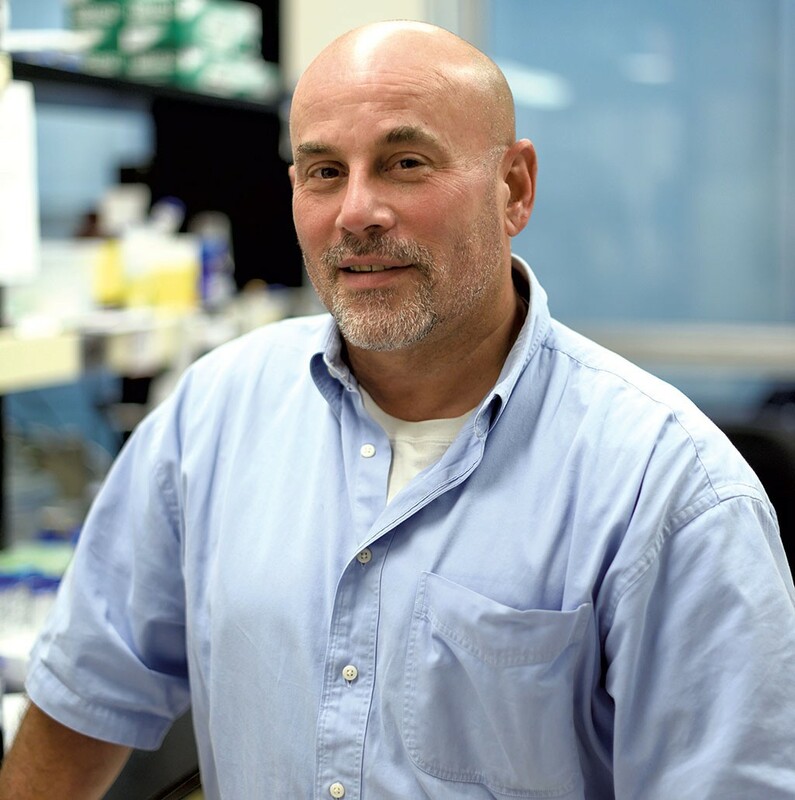 Muschler, a colleague of Weiss' in the International Society of Cell & Gene Therapy, runs a laboratory that develops and tests new stem cell therapies for patients suffering from musculoskeletal issues such as bone fractures, cartilage damage, arthritis and osteoporosis. "On a case-by-case basis, I can't say that an individual patient won't benefit from these therapies," he said. "But one patient doesn't make for a generalized rule." As Muschler explained, there's a large financial incentive for practitioners with some medical credential — who perhaps have never done stem cell research and who may not even be experts in the diseases they're treating — to buy a centrifuge and open a stem cell therapy clinic. "And a lot of patients will show up," Muschler went on. "The challenge is, how do you separate the wheat from the chaff? How do you figure out who is a legitimate player and who is an opportunist? Or a charlatan?" At the nonprofit Cleveland Clinic, Muschler and his team have taken a creative approach. When stem cell clinics began appearing in the area, his group began offering some of the same services, but with a difference. His doctors gather data from treating patients and study the results, hoping to reach conclusions about the effectiveness of stem cell therapy. Patients pay less than at for-profit clinics. His practitioners measure the patients' performance before receiving the therapy, using metrics and objective numbers, then assess those patients six months later and ask them to be "painfully honest" about how they're doing. The Cleveland Clinic also has a medical ethicist on staff to ensure that it doesn't overpromise results. "We partner [with patients]," Muschler said. "We tell people, 'If this works, we want you to tell us. And if this doesn't work, we want you to tell us.'" Finally, he said, he and his team will publish their results in peer-reviewed journals, with the understanding that stem cell therapies are still in their infancy. As Muschler tells his patients, "If you're coming here, it's not because we think we have magic. It's because we're committed to studying this so that your kids and grandkids will know the real answer. Because the truth is, right now, we just don't know." The original print version of this article was headlined "A Hard Cell"